Delta brain waves are the lowest and slowest brain waves, carrying a frequency range of between 1-4Hz. 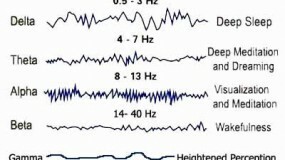 Delta brain waves are active mainly in stages 3 and 4 of sleep. 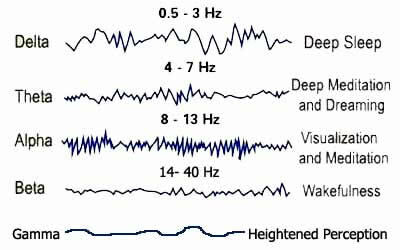 Sleep stage 3 is known as slow-wave sleep (SWS), which consists of delta waves at less than 3.5 Hz. At this stage you no longer produce any reaction to environmental stimuli. Stage 4 is known as REM sleep, where the sleeper enters Rapid Eye Movement and delta brain waves make up more than 50% of the brain wave activity. In this stage most muscles are paralyzed and it becomes increasingly harder to wake the sleeper. This sleep stage is hugely important in terms of bodily regeneration, yet surprisingly, during the 5 (average) sleep cycles we have each night, the REM stage makes up for only 20-25% of sleep time. 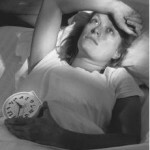 So, if you are waking up before or during the REM sleep stage, you are depriving the body of essential sleep. 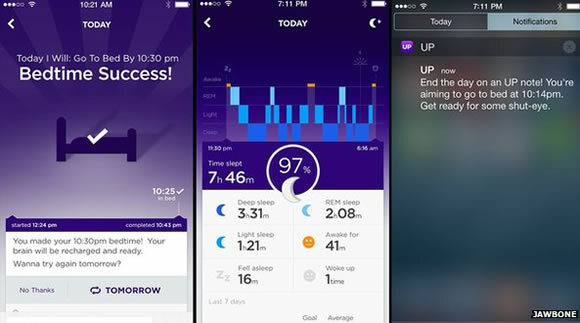 You'll know if you've ever woken up during the REM stage, or gotten hardly any REM sleep at all because you will feel disorientated, irritable and groggy during the day. Delta brainwaves help us achieve important, restorative sleep by assisting in the production of HGH (Human Growth Hormone), a hormone that promotes regeneration and healing in the body. Delta brainwaves also help reduce the production of cortisol, which is the hormone secreted when we experience stress. 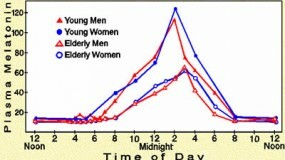 Cortisol is also responsible for physical and mental aging, another important reason for getting a good night's sleep. 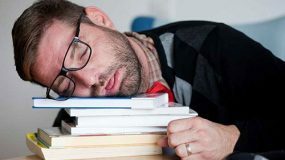 The effects of a lack of delta brainwaves is best understood when looking at sleep deprivation rather than sleep itself. When we don't sleep properly the body feels lifeless; lacking energy, achy, unable to concentrate, easily stressed and irritable. We are unable to perform simple tasks fluidly, and unable to retain information and learn to the optimum of our ability. 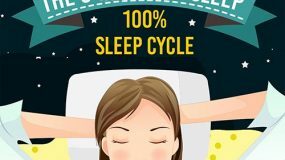 This is why stages 3 and 4 of the sleep cycle are so important, and such a problem for those who sleep lightly and wake continuously during these stages. The Six Steps program comes with two binaural beats recordings engineered in the delta zone, Deep Sleep and Blissful Sleep. Binaural beats recordings work by replicating the desired brain state using a process called “frequency response”. When listening to a recording set in the delta zone, the brain tunes in to the frequencies it is hearing and responds accordingly. The science works by sending one frequency to the left ear and one to the right, the difference between these two frequencies is the one the brain responds to. For example, if we send 200 Hz to the right ear and 203.5 Hz to the left ear, the brain will respond by producing brainwaves at 3.5 Hz, the exact delta brain state that occurs in sleep stage 3. Listening to delta binaural beats recording before going to sleep will assist in the production of delta brainwaves, and ultimately promote better sleep and less periods of intermittent waking during sleep stages 3 and 4. Delta brainwaves are vital to the overall sleep cycle, and ultimately vital in maintaining a healthy body.